Arrive Agra, Pick up from Railway Station. & transfer to hotel for the use of Rest Rooms etc. & introductionto the Guide. 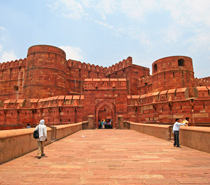 Excursion to Fatehpur Sikri-a perfectly preserved red sandstone ghost town” which was the estranged capital of mughal emperor Akbar, built in 1569 and deserted when its water supply failed. 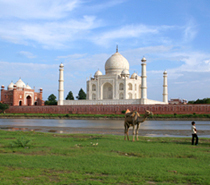 Free to explore the Agra’s rich heritage of handicrafts or at Leisure.